Slide down the bar at the top to show your setting (or go into your applications and choose settings). Find the setting called “Apps” or “App Management”. You will see the options: Download, Running, and All. Move across to “All” and scroll down to find the app you want to stop notifications. After you select your app you should see a selected box that says “Show notifications”. Uncheck this box and you will STOP all notifications from the app. Swipe down the notification bar and press and hold the app notification. Press the bell icon with a line through it to silence the app. Swipe down to see the notification, hold the notification and tap “App Info”. From there uncheck “Show notifications”. 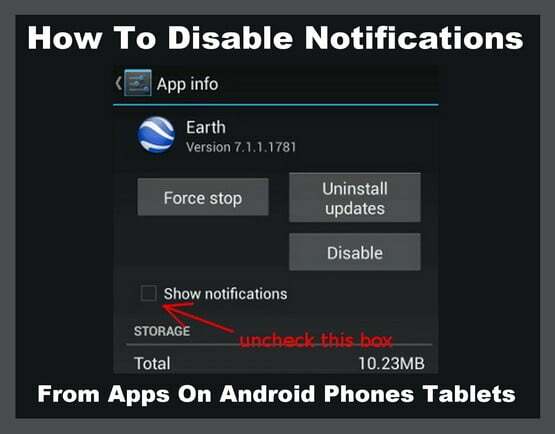 Do you have easier or updated methods to disable Android app notifications? Please leave a comment below. Next post: Paint Taking Forever To Dry! How Long Does Wall Paint Take To Dry?